Is your garage way too full, would you love to park your car in there once again? 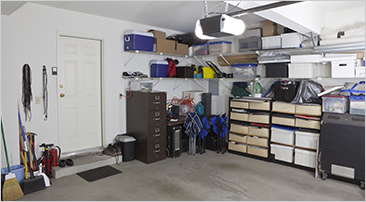 We can handle any amount piled up in your garage. Our clean, courteous workers will come and remove all unwanted items at a great price, while you sit back and relax. Gain that much needed space back for your car, boat, bikes, and more! BEE JUNK FREE offers Garage Clean Outs and other Junk Removal Services to clients across Peterborough, Lindsay, Port Hope, Cobourg, Bowmanville, Courtice, New Castle, Kawartha Lakes, Campbellford, Whitby and Oshawa, ON.